OK so we've all seen the sale packs of Pork Coutry Ribs with 8 - 10 ribs at the grocery store. They're great if you plan on having company over or if you have a large family. There's 2 of us at our house (when company isn't over) and we like to buy these packs and separate them into 2 each and freeze them for meals at a later date. 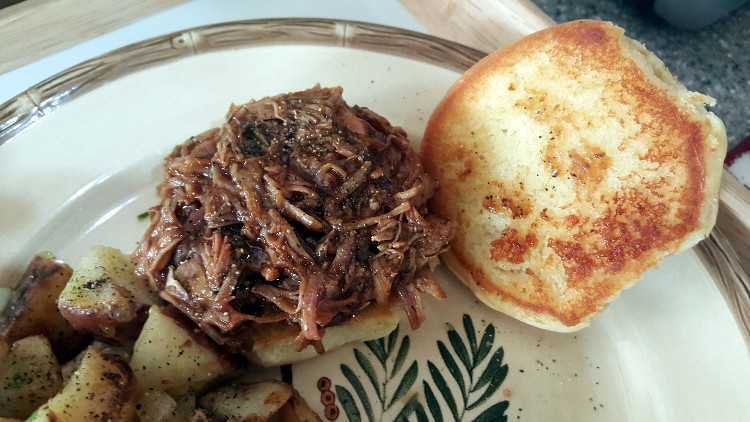 Yes you can BBQ them, bake them etc. which we do. 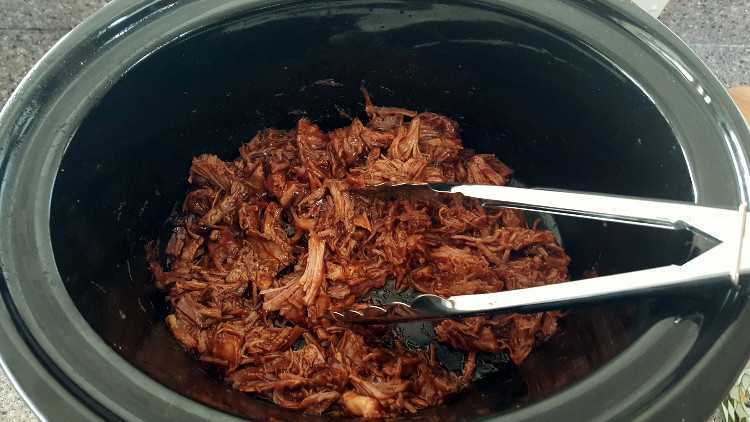 But what we really like to do is put a couple ribs in the slow cooker and have pulled pork sandwiches. Great for when you know it's gonna be a long day at work and your saving grace is that when you get home, dinner is within minutes of preparation. Place the frozen pork ribs in your slow cooker. 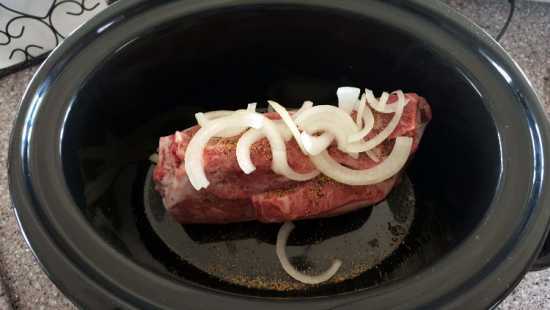 Add 1/2 tsp salt, 1/2 tsp black pepper and a 1/4 onion chopped or sliced. 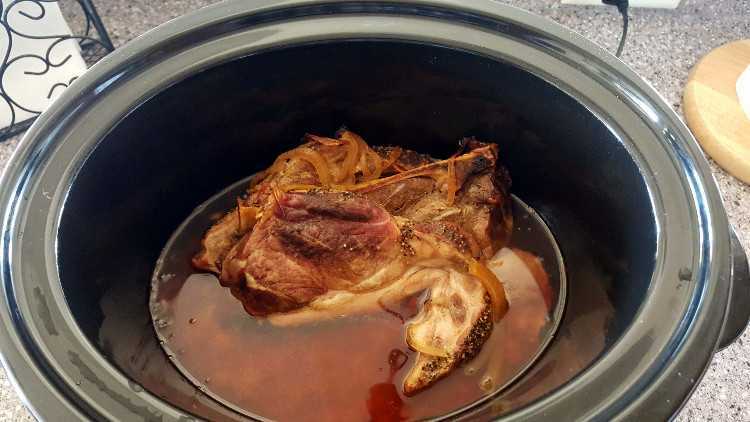 Put your slow cooker on low for 8 hours while you are off at work. 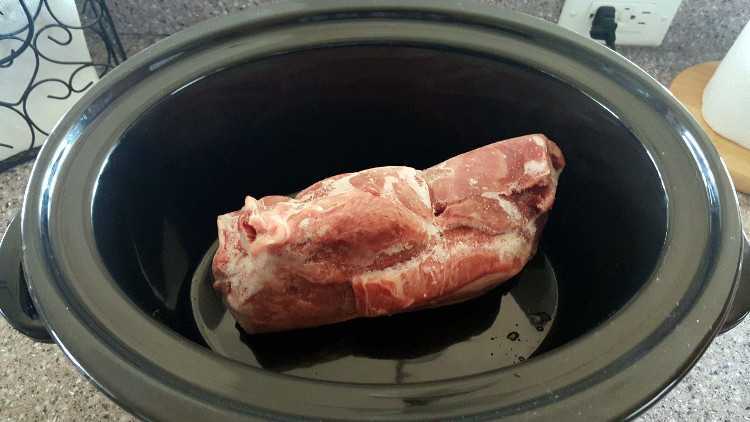 Remove the bones and fat from the pork and place the pulled pork back in your slow cooker. Add a 1/2 cup of your favorite BBQ sauce, mix well and set your slow cooker to warm and serve when you are ready!